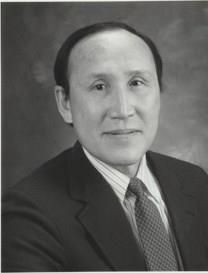 PAACT mourns the loss of Dr Fred Lee, the Father of color Doppler ultrasound for prostate, and a pioneer in cryotherapy in the USA. He was a true advocate at heart, and helped hundreds of patients in his clinic in Rochester, Michigan. Dr Lee often joked that his close friend Dr Duke Bahn was his student, but also became his teacher. Duke Bahn remembers Fred Lee with the same fondness, stating that “Dr. Fred Lee was a true humanist with virtue. His remarkable contribution to prostate cancer diagnosis and treatment can’t be properly described in a short sentence. He had been a close friend and a contributor to PAACT since its inception. He touched many lives with love and compassion. His incredibly wonderful spirit will be in their hearts and minds forever. (734) 666-6158. The service is open to the public. If you would like to leave comments for his family, you can sign Dr Lee’s memorial guestbook here.